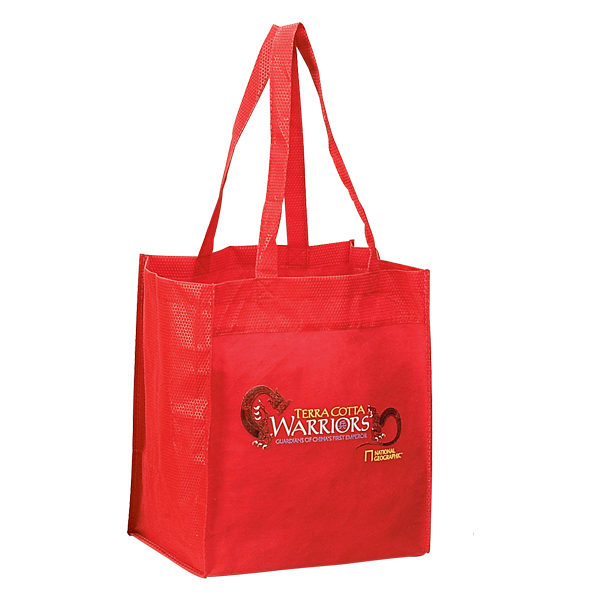 Planet-friendly perfection, this tote is ideal for groceries or your next convention. 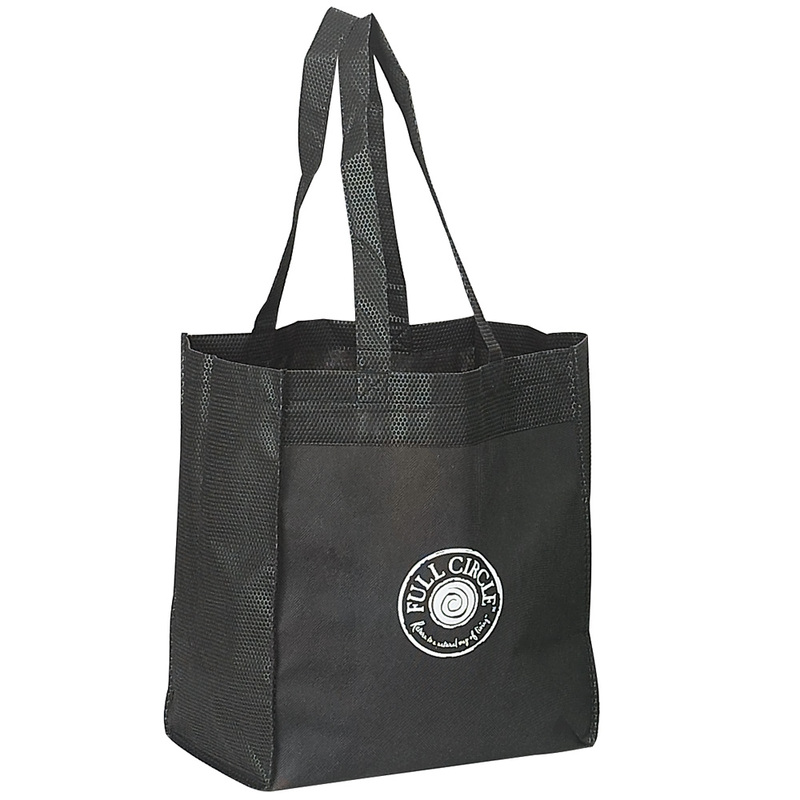 Made of 90g non-woven recycled material, with a modern-dot debossed trim and cardboard bottom for added support, it oozes eco-savvy style. Pack Info. : 100 pcs / 27.00 lbs. Pack Note: (Dimension Weight) / 26 lbs. (Actual Weight) / 20" x 16" x 14"